AGC Partners is pleased to announce that its client, mplsystems Limited, a provider of omni-channel customer engagement software, has been acquired by IFS AB, a portfolio Company of EQT Partners AB. With a team led by Markus Salolainen, AGC Partners acted as sole financial advisor to mplsystems. 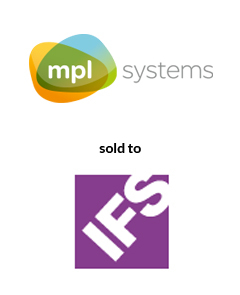 The acquisition of mplsystems extends IFS’ leadership position in the Service Management space, with a broader and more complete product offering and team, and will expand the addressable market of IFS’ Service Management solution through greater functionality and larger geographic outreach.